I thought I'd take a quick look back over the last year. 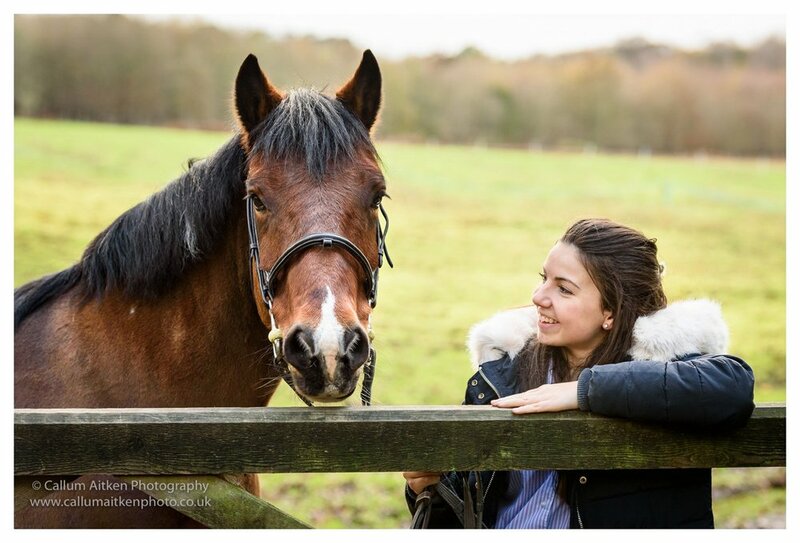 Highlights from an equine photoshoot in Surrey - featuring Marie with Jack and Abi with Peach. This little man is Malz. A handsome, 16-week old black lab pup that I was fortunate enough to photograph at the end of July at his home near Basingstoke, Hampshire with his Mum and Dad, Bex and David. As you might expect of any pup his age, Malz is a bundle of energy and constantly exploring his new strength and co-ordination by charging around the house and garden having plenty of fun. It was a really hot day, so although Malz does go out to the local park, we decided it would be wise to stay at home in the garden where we could have a bit more control over Malz’s exuberance and make sure he didn’t get too hot. Malz is really developing into a super dog and it was really interesting to look back at the shots and see how in some shots he still looks very puppy like, but in others you get a glimpse of the adult dog he will become – what a fine lad! Eventually (and I really mean, EVENTUALLY!) Malz got a little hot and tired, as was I, and I managed to get some more sedate, soulful shots. 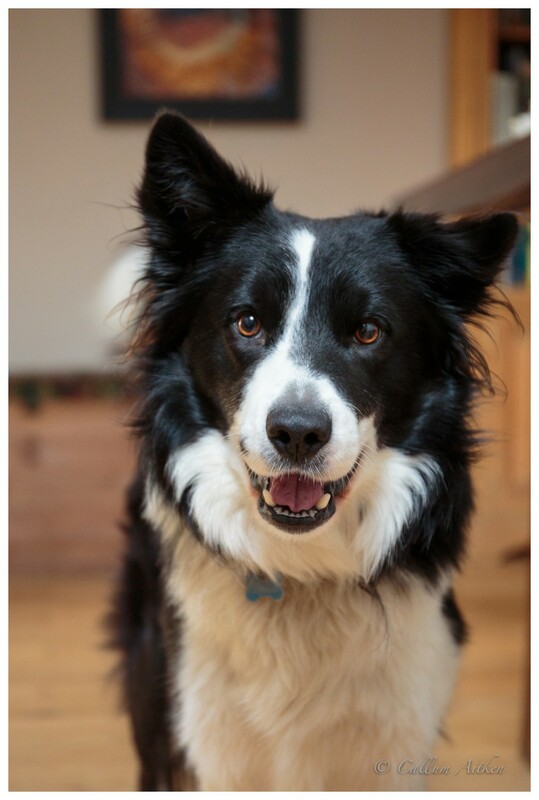 It’s a pleasure to photograph any dog, but as you can imagine, even more so a lovely pup. It’s a huge amount of fun as well as a huge challenge to be in the right place at the right time and keep up with the crazy bundles of energy. A huge thank you to Bex and David for having me along to spend the evening with Malz. 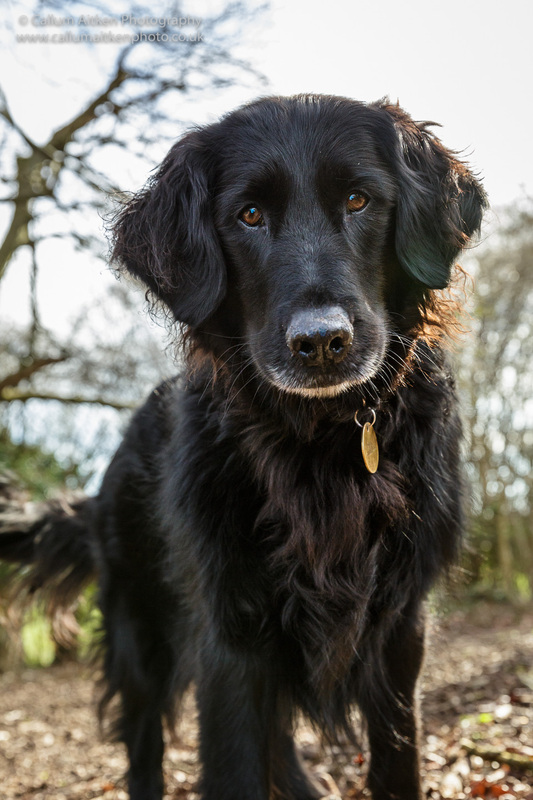 This gorgeous, seven year old, Flat-Coated Retriever is Eva. 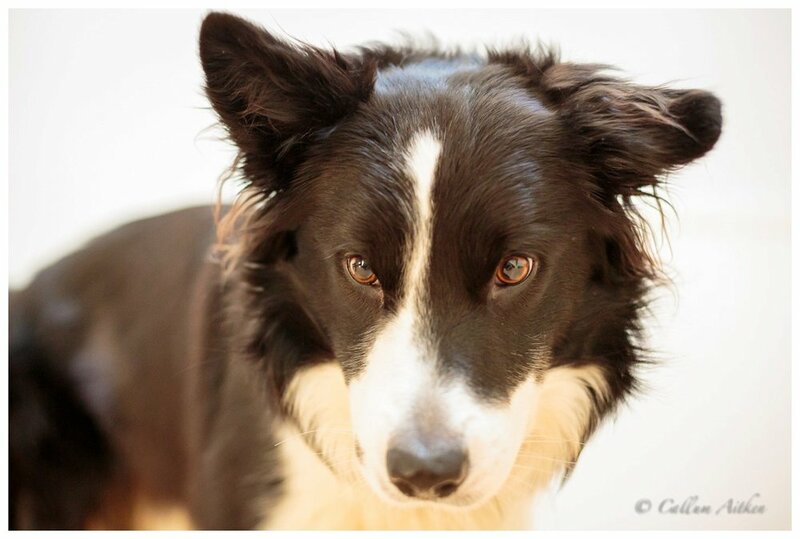 I was lucky enough to be booked to photograph Eva back in April by her owners, Rob and Anita. Eva was originally trained as a Guide Dog and first came to stay with Rob and Anita when they were acting as Trainee Guide Dog Boarders. This is where people volunteer to act as temporary “parents” to trainee guide dogs whilst they go through their formal training – they take the dog to school in the morning, pick the dog up in the afternoon and then spend the evenings and weekends helping the young dog get acquainted to home life, continuing basic training and having fun after the rigours of school. It’s a fantastic idea that allows the trainee dog to get used to different people and scenarios before they head off to work with their selected blind or partially sighted partner. Eva passed her training with flying colours and went off to live with her partner. Unfortunately her elderly partner suffered from ill-health for quite some time and subsequently passed away. As Eva had not worked for an extended period of time, the decision was made to retire her early and Rob and Anita were asked if they wanted to take her on as they new her well. Luckily, Rob and Anita were only too happy to have Eva back in their lives and it appears to me that the feeling is mutual – Eva is one of the happiest dogs I’ve ever met! One of Eva’s regular venues for walkies is Sheepleas in Surrey. It’s not an area I’d been to before, but I shall certainly be going back to – a great mixture of woodlands and meadows and perfect for photoshoots, wildlife spotting, or indeed, just walking. In our discussions before the shoot, Rob and Anita had suggested they would like a mixture of portrait and action shots, so as we walked around the area I was keeping a lookout for good backdrops for portraits and different areas for action shots. We were provided with plenty of variation and had Eva sitting on benches, climbing fallen trees, charging across meadows, sitting in bluebells as well as photos with Rob and Anita sitting with her too. Not quite the sleek, coiffured look an owner might want to have captured in a photograph, but I love it! Luckily with a quick shake and some more charging around the leaves and twigs fell out. Ever since I started Callum Aitken Photography, I’ve wanted to be able to use my photography to support animal charities, predominantly animal welfare charities, and I have therefore made the decision to donate a percentage of the income from each and every photoshoot I do to a charity related to the type of animal I’ve photographed (more details to follow on my website). However, in Eva’s case, I’ve agreed with Rob and Anita that the donation should go to Guide Dogs UK to continue Rob, Anita and Eva’s support for their invaluable work. A huge thank you to Rob and Anita for booking me and allowing me to have such a great time with Eva – she is such a character and a lovely, lovely dog. As I mentioned previously, I’m catching up on blog posts for past clients. 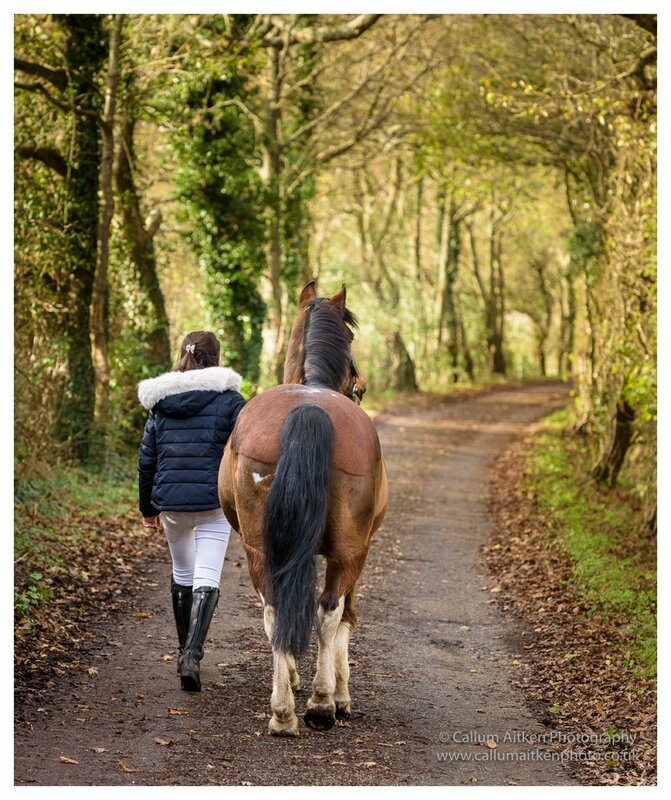 I photographed Phoebe and her pony, Rosie, back in November last year near their home in-between Pulborough and Storrington, West Sussex. We were really lucky to pick a day that turned out ok in the midst of a week of non-stop rain (just like the rest of winter turned out to be!). I photographed Phoebe’s birthday party earlier in the year, so was honoured to be asked to photograph her with her star pony, Rosie. In fact, the only way I could get her to put her ears forward was by rattling my secret weapon for the day, a tub of cashew nuts. It’s perhaps worth pointing out that I’d remove the sheep in Photoshop if requested, but in the context of this little story, it makes me laugh and reminds me of the fun we had on the photoshoot. The site we had at our disposal for the shoot was great, as we had the South Downs off in the distance and a nice mix of open fields, trees, tree stumps, gates and lanes to use as back drops – all the things that can add to a nice varied photoshoot and give the client plenty of images to choose from. The last photo I’ve included in the blog post is probably my personal favourite of the day (although many of them capture the lovely bond between Phoebe and Rosie) – the sweep of the lane through the image, the autumnal feel to the trees with the leaves on the ground, the closeness between Phoebe and Rosie, and Rosie has her ears forward as she knows she is getting close to her home field and can hear her companions calling to her. As always, a huge thank you to the stars of the shoot, Phoebe and Rosie for making the shoot such fun, and thanks to Pheobe’s Mum and Dad, Fiona and Chris for asking me to do the shoot – always a pleasure to work for wonderful people! 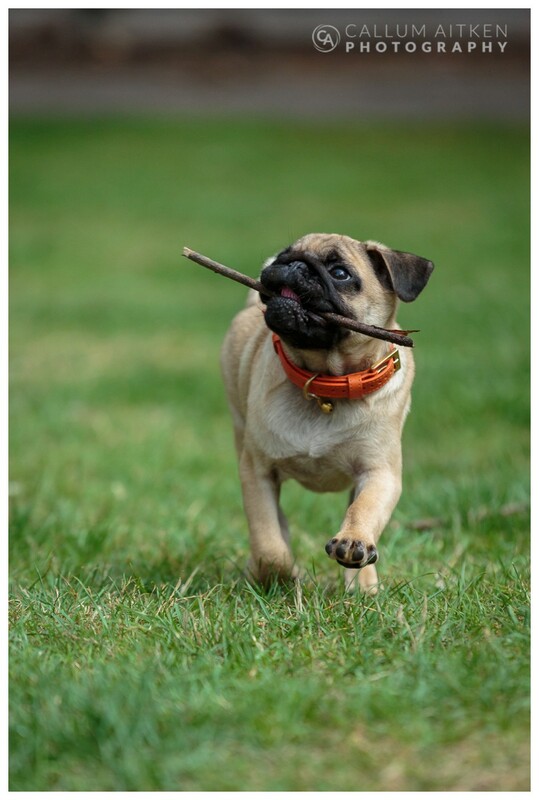 A couple of weekends back I was fortunate enough to be booked to go up to London to photograph a pug. 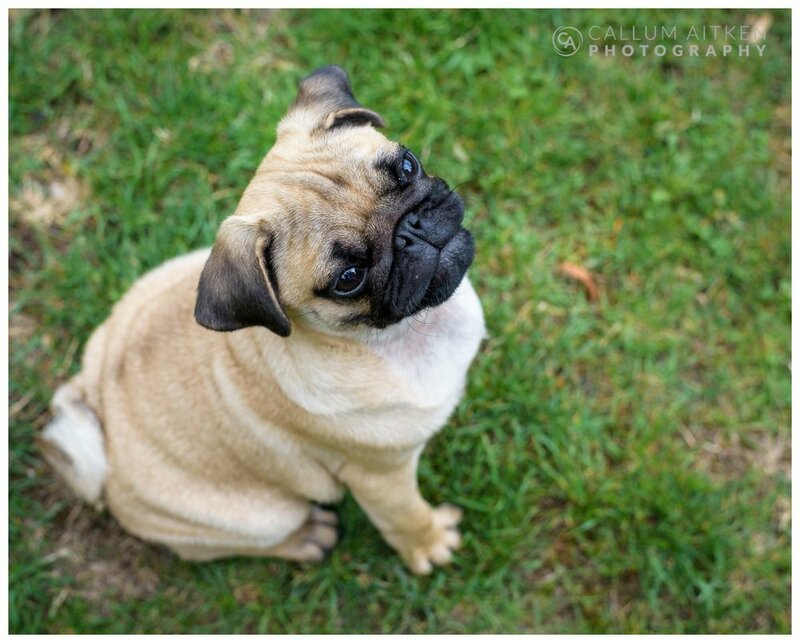 Not just any pug, an utterly adorable four month old pug puppy by the name of Wellington. The photoshoot had been booked when Welly’s Mum (human) was given one of my gift vouchers as a birthday present. It’s good to have a plan before a shoot so you have a list of the kind of shots the owners are thinking they might like, plus I have my own ideas and suggestions and of course you have to adapt to the actual shoot itself and see what happens. My plan for the shoot was to meet Welly at home with his owners (he’s too little to answer the door himself), let him run around in their garden and get to know me and the camera, get loads of action shots of him roaming around his kingdom and then as he tires out, get some cute, cuddly, sleep shots. Did it go to plan…? Not quite! This was quite simply one of the most fun and tiring photoshoots I’ve ever done, and editing it afterwards was a truly difficult task as Welly is just sooooooo cute, it’s almost impossible to choose one photo over another. WARNING – cuteness overload ahead! Just in case you wondered – this is why photographers often take more than one camera with them! Welly was a great model – he loved the clicking of the camera shutter, so I could get him to play with his owners, grab a position and then fire off the camera a couple of times and he would come charging towards me to see what the noise was. Also, for a young pup, he was very well trained and can already sit and stay, at least for a while! I’ve included some of the more mischievous photos of him, but they really are just him having fun, not being naughty. It became clear after quite a while of charging round the garden that Welly wasn’t really tiring, so after great fun trying to get his collar and lead on, we walked round to Welly’s local park. Even more fun and games ensued with Welly charging about making new friends and chasing sticks. 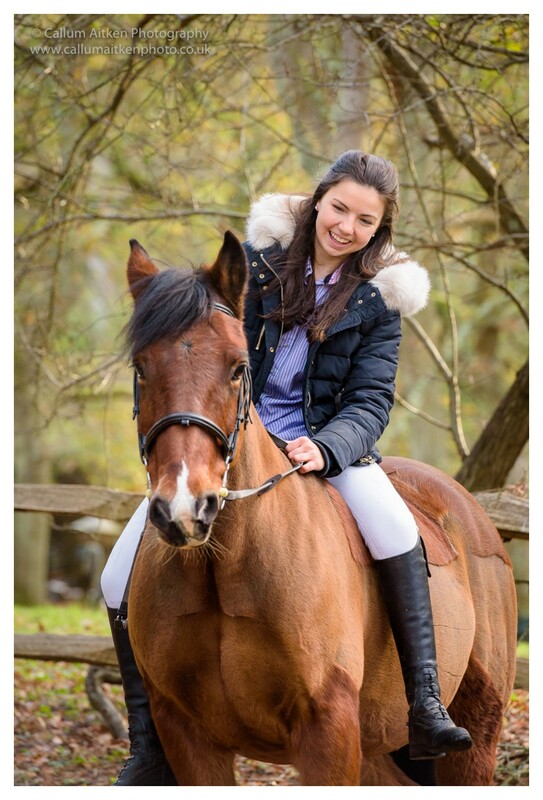 I’ve only included a small selection of Welly’s photos, just to give you a flavour of how the shoot went and to show you what a star Welly is. This little man was a total bundle of energy and already a great credit to his owners. It was great fun to spend a couple of hours with such a lovely pup and a huge character, as pugs often are. I must admit – when I got home, I was exhausted (Welly was still going strong according to his owners and still hadn’t stopped charging about! ).